I am the first to admit that sometimes life just gets too much. Last night is a prime example of this. 7 year old had 2 lots of homework to do (as he didn't want to do it on Monday) plus reading. Then he had footy training at 6pm to get ready for (and we couldn't find his kit) 2 year old was getting to grips with potty training, 4 year old was dancing around and singing like a fairy. Tea needed to be made, packed lunches prepared and uniforms ironed. I was due to meet the girls at the pub later so needed a shower as I realised I hadn't washed my hair in a week. I had emails that needed to be sent that night and needed to scan a document only to find I couldn't work our new scanner. To top it off I had to read through our headteacher's report and school improvement plan in preparation for our Governor's meeting tonight. Ahhhh! Safe to say I was a little bit stressed! I ended up still sending emails from bed at midnight. That's not the work-life balance I'd hoped for! So today, I decided to just have a few hours dedicated to just me! No emailing, no working and no running around after my children. My me-time started with a winter warmer spa special at our local beauty salon. It was so nice having a reason to put my phone away. My treatment was just amazing and the best value £18.50 I have spent in a while! 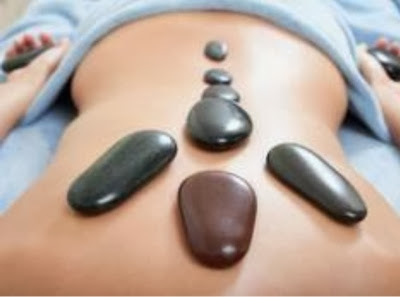 I enjoyed a hot stone massage and Thai dumpling facial which were both simply divine and left me feeling so relaxed. My me- time didn't end there though! The only time I get to read a trashy magazine is when I'm on the train by myself so I bought one today and indulged myself! I now feel a lot better with the knowledge that Vicky from Geordie shore is now a size 6 and that David Beckham is feeling intimidated by his wife's success! All important stuff! So, those 2 hours in my busy little life that have been just for me have really made a difference. I feel a lot calmer and more able to cope with life now. I'm really interested to hear what you do when you need some me-time?